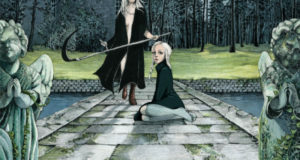 Spectacular Optical, a small print Canadian publisher run by Kier-La Janisse, has become known for their unusual film anthologies focused on things like the Satanic Panic, kids-themed movies and TV shows, and the films of Jean Rollin. 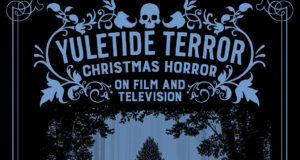 Their upcoming offering, Yuletide Terror: Christmas Horror on Film, includes a dizzying array of important film writers, including Janisse herself, Stephen Thrower, Kim Newman, Michael Gingold, Rue Morgue editor Andrea Subissati, Shelagh Rowan-Legg, and many more (including a few Diabolique staff writers). Chapters will cover a wide range of subjects, including beloved films like Black Christmas, British ghost stories produced by the BBC, anthology films like Tales from the Crypt, and holiday terror as shown on the TV. The following will be exploring by writer Amanda Reyes, who was kind enough to speak with us about the upcoming project — and hopefully excite you enough to contribute to the campaign, which ends in a few days. Diabolique: How did you get involved with the Yuletide Terror book? Amanda Reyes: I was lucky. Kier-La Janisse, the founder of Spectacular Optical, contacted me because she felt the book needed a chapter on anthology TV shows that featured a scary holiday episode. My wheelhouse is actually TV movies, I have a blog and podcast called Made for TV Mayhem which is dedicated to the genre, and my book Are You in the House Alone? A TV Movie Compendium: 1964-1999, which Kier-La contributed to, had just been released. So, the offer was extremely exciting as it allowed me to go deeper into television history, but admittedly anthology TV was not something I was incredibly well versed on. I had to do a lot of research. The best kind though, I got to revisit and discover a lot of great shows. The hardest part was figuring out which episodes best fit the book and my idea of what makes notable holiday horror. Diabolique: How did writing about TV episodes and films become your focus? I.e. what drew you to that? Amanda Reyes: When I decided I wanted to try freelance writing, I was covering a lot of new horror movie releases for various websites. That field is overflowing with people producing tons of content, so it was hard to keep up. But I had a friend named Ryan Orvis who had this fantastic fanzine called Debaser. He asked me to be a contributor and said I could write about whatever I wanted. I decided to make a list of made for TV horror movies that I love, and it just opened up the floodgates of memory. Revisiting Gargoyles and This House Possessed just filled me with joy, so I started pursuing every title I could find. And during that time, I found I was really getting burnt out on writing about a bunch of movies I didn’t really care for, so I started a blog and before you knew it, I was in TV heaven! I do also write about TV series, but not as often. However, I like to focus on single episodes, or pilot telefilms when the mood strikes. It’s just a place I go to that makes me feel happy. I’m also an archivist in my daytime life, so there’s that part of me that really enjoys creating some kind of record of these films and shows. The response has been really nice too. I appreciate that I’m not alone! Diabolique: How hard were some of these titles to track down? I’m sure a lot of them aren’t available on home video release yet, though hopefully this book can help change that? Amanda Reyes: You know, finding episodes of anthology shows to research and then perhaps write about was a lot easier than finding many of the TV movies I’d like to cover! I don’t like to promote illegal streaming, but there’s some good content on YouTube, and things like Tales from the Crypt have actually enjoyed nice home video release. Also, while I didn’t know a ton about anthology TV when I started, I’m a bit of a collector, so I had a few things in my trusty old VHS collection! It pays to be a pack rat every so often! Diabolique: So I know you’re working on multiple pieces for the Yuletide Terror book. What exactly will you be contributing? Amanda Reyes: The chapter on anthology TV is definitely my biggest contribution, and I’m really excited about it. I wasn’t joking when I said I watched a lot of anthology shows, and I ended up with a nice variety of programming, and was able to include some of the better known entries along with a couple of obscure ones. And now I’m obsessed with these shows! I also had an interview with Lewis Jackson, the director of Christmas Evil that I didn’t have a home for, so I offered it to the book. Lewis is an interesting guy and Christmas Evil is an underrated gem that is now just getting the attention it deserves. 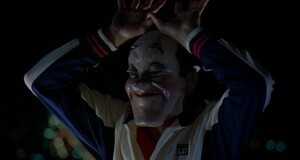 He offered a lot of tidbits about the making of his film. And, I wrote several capsule reviews. I have to say, the review section was really fun for me. I got to write about a few telefilms, which I just loved. This book will be such a great venue for some little known holiday terrors! Diabolique: I have a weird obsession with Christmas movies (horror and otherwise) that began by watching TV programming as a kid, which I imagine is a lot of people’s experience. How were you introduced to some of the titles that you’re writing about for the book? Amanda Reyes: While I remember some of the anthology holiday fare I covered in my chapter, a lot of it was new to me. As I mentioned, the research process put me in touch with many, many episodes that I had either never seen or had to revisit. And, I’m really grateful for it. I’d almost forgotten how subversive some of this stuff was! And it also reminded me of how powerful the anthology format could be. With regards to the capsule reviews, a lot of what I wanted to write about was stuff I was much more familiar with. I grew up on television, and I can’t remember a day when my family wasn’t watching something. I always looked forward to the Christmas stuff, and while I tend to see classic television as a bit of a comfy blanket anyway, the holiday fare was even that much more cozy, most likely because of the nostalgia attached to it. Like you, I was introduced to much of this stuff as child, and it was often a family event to gather around and watch certain specials. It was part of a shared ritual in our house. I still take a break every year to watch Rudolph the Red Nosed Reindeer when it reruns, and a lot of what I reviewed are things I enjoy returning to again and again. Diabolique: Do you have a favorite Christmas horror film? And why? Amanda Reyes: I’m crazy for Silent Night, Deadly Night! I have always enjoyed it, but really came to love it when it played a couple of Christmases at a revival house in Los Angeles. It’s a cynical little film, but I love how it is really a character study, and that I always find myself kind of moved by Billy as we see him witness his parents’ deaths, and then fall under the care of evil Mother Superior at the orphanage. I would have went postal way before he did! 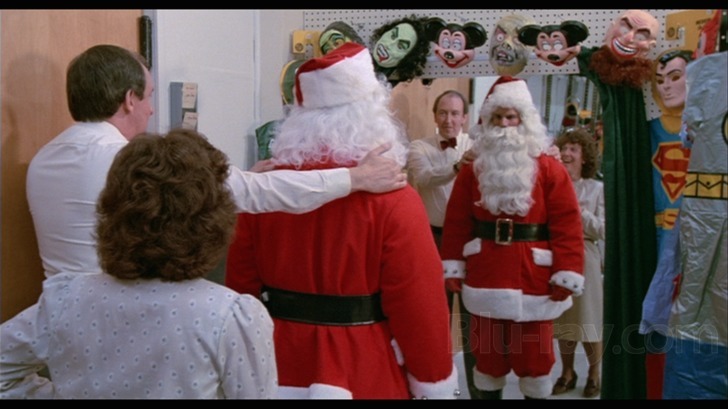 In terms of real terror, Black Christmas and even Silent Night, Bloody Night are great examples of solid genre filmmaking, and I love them too, but Silent Night, Deadly Night is the one I can rewatch over and over again. It’s my one holiday tradition in terms of films I will go out of my way to see. I watch it every Christmas Eve! Diabolique: And any final takeaway from your chapter you can share? Namely do you think the made-for-TV holiday horror titles you focused on have a common theme (outside of the obvious yuletide cheer)? Amanda Reyes: Oh yeah! When writing the chapter I was looking for all kinds of themes that might be shared across some episodes. The thing about holiday horror is that it exposes the irony of the idealized version of Christmas we may see in non-genre television. There can be a feel good dynamic, but mostly these episodes are about twisting convention, and maybe confronting some of the really dark issues that many of us deal with around the holidays, such as feelings of isolation or even that loss of innocence that comes with the realization that a lot of the holiday is focused on myths that we now know don’t exist. But, at the same time, TV is made for a mainstream audience, so there’s plenty of entertainment to be had, even when the overall message is darker. In the end, the big takeaway, for me anyway, is that I hope readers are intrigued and seek out some of the titles I have highlighted. That would be great! Thanks Amanda! And don’t forget to contribute to the campaign.